Gary Numan is often cited as a pioneer of electronic music, and his influence on the genre – and for those performers that are inspired by his works – is clear to see. 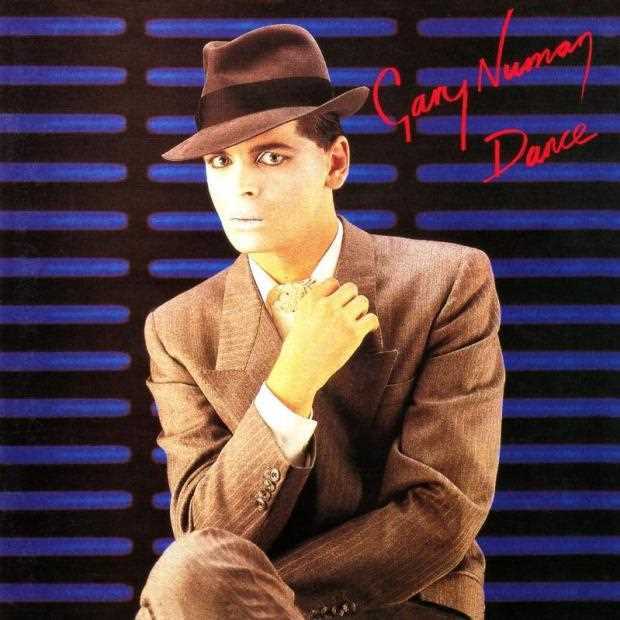 Following on from his initial mainstream success, Numan changed direction, and released a slightly different sound on his third solo album, Dance. Initially released in 1981 on the Beggars Banquet label, Dance has been remastered, and rereleased on Beggars Arkive, as a double LP, featuring not just the original album tracks, but also including B-sides, out-takes, and the full length version of Moral, which was previously unreleased. Dance saw a move away from pure electronica, and introduced a funk/jazz feel with a melodic bass, provided by Japan’s Mick Karn. Along with guitarist Rob Dean, their sound comes across very strongly throughout the album, especially in the opening track, ‘Slowcar To China’. Other collaborators include Roger Taylor (the one from Queen, not Duran Duran), Models‘ Roger Mason and Nash the Slash, who had performed with Numan in the two years leading to this release. The overall sound is melancholic and introspective, and the theme of broken and distant relationships is very much apparent. ‘Slowcar To China’ is about a prostitute, and the only single from the album, ‘She’s Got Claws’ is based upon a woman who tried to capitalise financially on her relationship with Numan (“You say you love me, Maybe you do, A patience I can’t steal, I don’t believe you, You said straight, It’s like giving up hope…“). ‘Stories’ tells of a chance meeting between a waiter and a female café customer, who just happens to his mother. Other themes include dealing with a drug addict in ‘Night Talk’ (“Stay in bed, why waste my time, Open your eyes but only if you can“), and the album’s longest track, at almost 10 minutes long, ‘Cry, The Clock Said’ deals with relationship breakdown. It starts with a melodic beat, and wistful keyboards before slowly developing, and where Numan’s distinctive voice hauntingly laments over what could have been. The bonus tracks feature the standalone single, ‘Stormtrooper in Drag’, and released under Paul Gardiner’s name. Released before Dance, it bridged the gap between Numan’s previous releases, and the new direction that he was to take with his upcoming album, and which is my personal highlight from the re-issue. The previously unreleased out-take, ‘Dance’, is another melancholic exploration that makes the title almost ironic. Numan will always be considered to be influential, innovative, and at times, ground-breaking. This is not my favourite of his albums, being far too reflective and, at times, dark. It is, however, thought-provoking, and whilst it’s not easy listening at times, the change in direction was brave for an artist who had been better known for a more electro-pop style, and one that has aged well in terms of production and sound, and most importantly, one that many people may still relate to. The re-issued and expanded Dance is released on 19th January through Beggars Arkive.